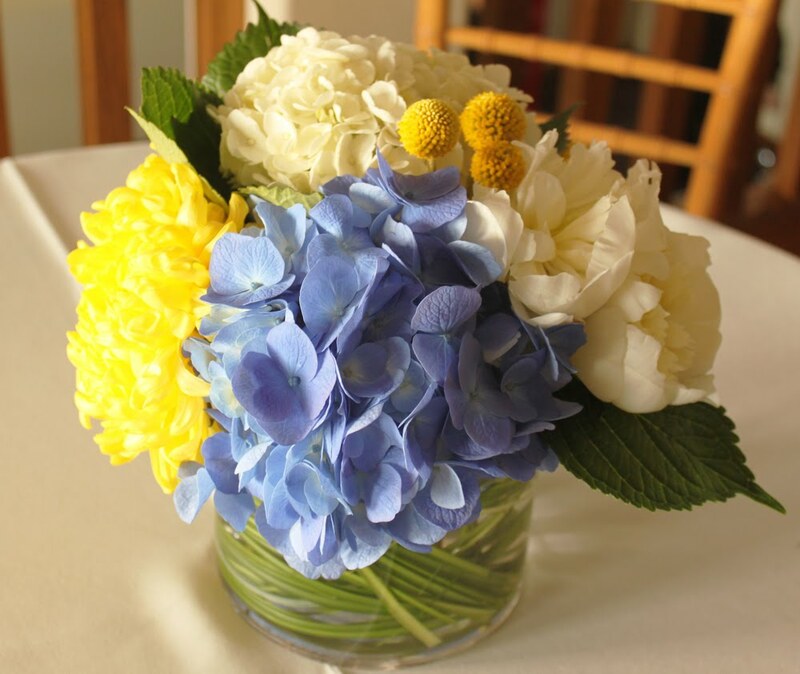 This past Friday I had the pleasure of designing wedding flowers for a couple who held their reception at the Redondo Beach Historic Library. It's a pretty cool venue, complete with ocean views from both the first and second floor. 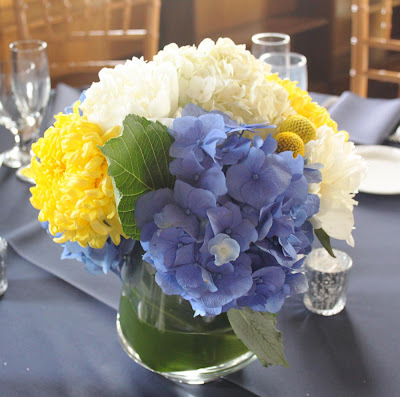 The wedding colors were yellow and blue. 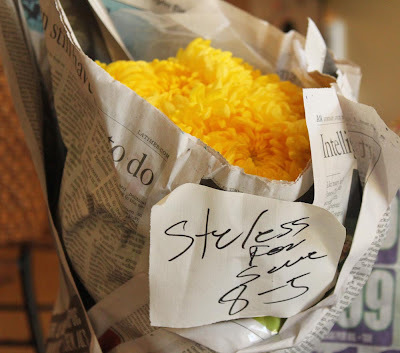 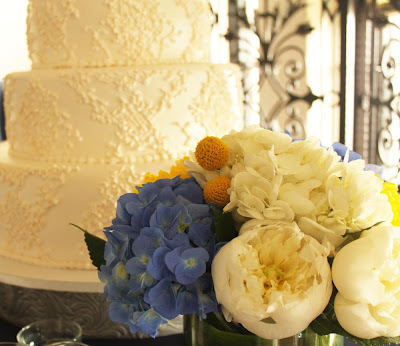 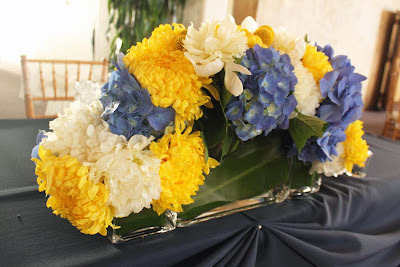 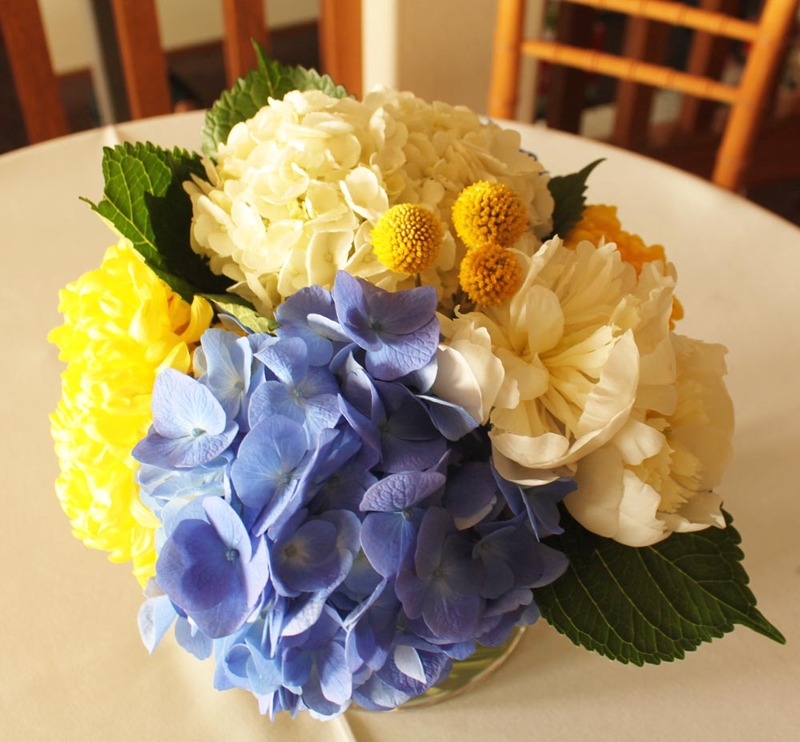 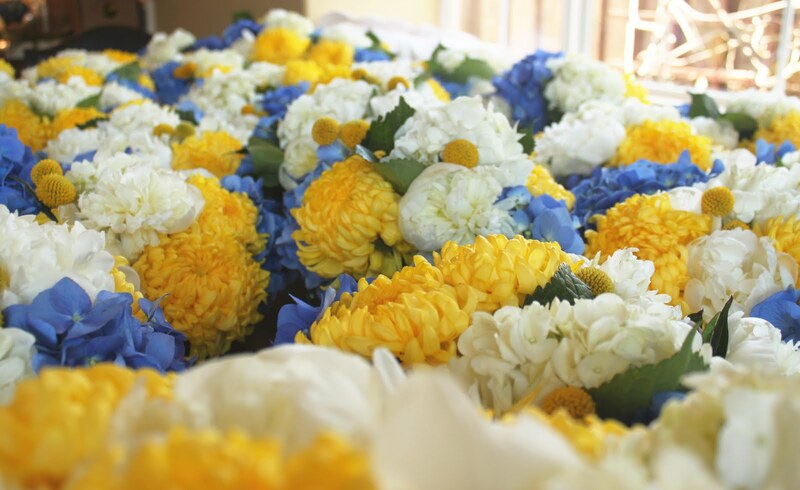 I created the arrangements using yellow China mums, dark blue hydrangea, white peonies, and yellow billy buttons.